﻿It's that time of year I have come to dread. For most of the world, the long, dreary march through Winter is nearing its end and the verdant days of Spring lie just on the horizon. Soon, the snow will melt, the birds will chirp, the flowers will bloom. Petite princesses in pastel dresses will romp through grassy fields in search of decorated Easter eggs. 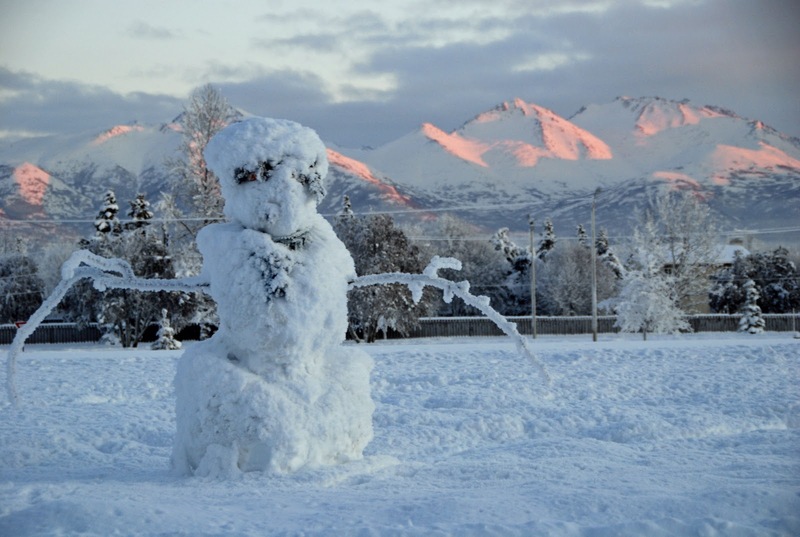 ﻿So, while the rest of the world dashes between the raindrops of April's showers and inhales the sweet scent of May's flowers, I will be making snowmen and chiseling hoar frost from my brow. So what do I do keep myself from turning pea green with envy as I look at photos of my friends in their new Burberry wellies or pastel pink loafers? Like Dorothy clicking the heels of her fabulous ruby slippers in an attempt to escape Oz, I close my eyes and think of somewhere else. I imagine strolling past the tender, tulips blooming in the Tuileries. I envision flowerboxes filled with geraniums hanging from charming wrought iron balconies on the Île de la Cité. 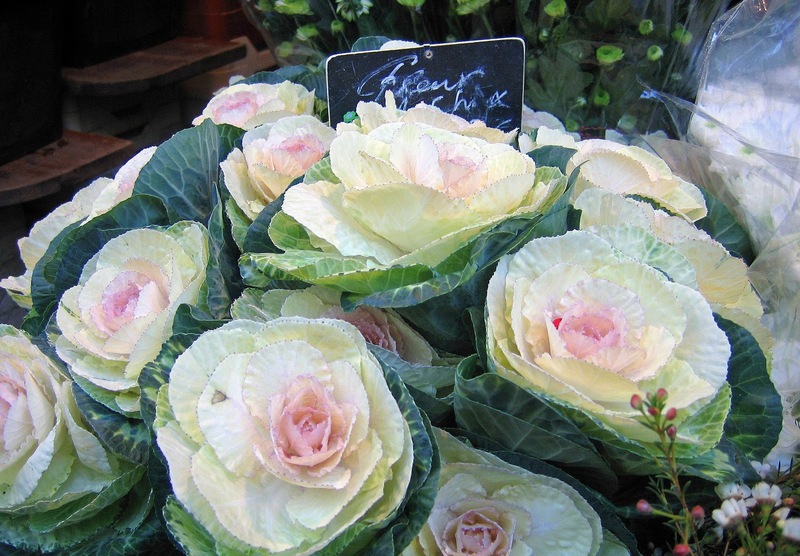 I think of a beautiful bunch of cabbage blossoms I once saw in a silver bucket outside a little shop in the Marais. But more than anything, I think of the bistros. 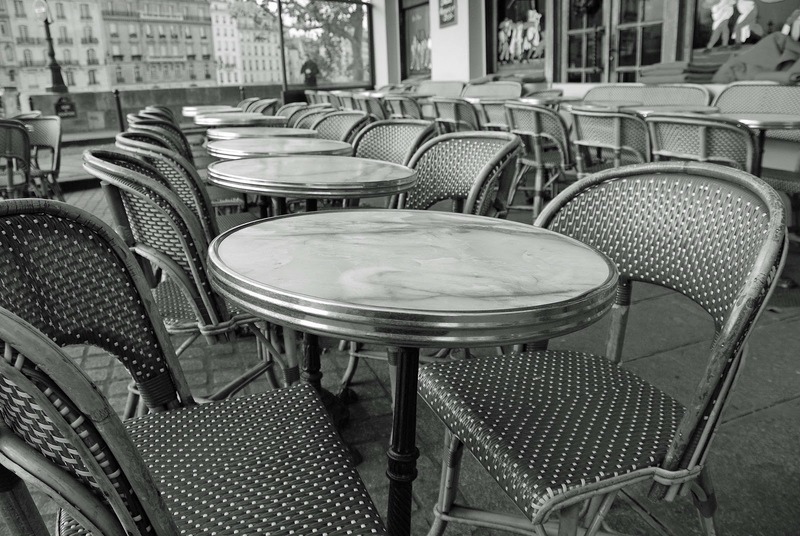 I imagine myself (snappily outfited in a fabulous pink dress, impossibly high heels, and fashionable Audrey Hepburn-esque black sunglasses) at my favorite bistro. I am seated at one of the little marble topped tables situated on the sidewalk in front of the bistro. At my feet is Molly, my schnoodle, and over my head is a cheerful, wide green awning. ﻿The waiter arrives and I say in flawless, fluent French, "Je voudrais commander une salade composée et un verre de vin blanc, s'il vous plait." Then, I sit back and devour the marvelous, moveable feast that is Paris. The panoply of Parisians, with their scarves artfully knotted about their necks, walk briskly and with such purpose I find myself wondering about their lives. Who are these people? Where do they work? What moves them? A simple Parisian (if one could ever characterize a Parisian by such a term) in a pasmina piques my fertile imagination in a way an Alaskan in snowbibs and parka never could. I remember one Parisian, in paricular. It was a cool day in March. The morning had been clear and sunny, but by mid-day a thick blanket of clouds rolled in, blanketing the city in gray and dropping the temperature several degrees. I was sitting at an outdoor cafe, holding a mug of hot chocolate between my hands, delighting in its warmth and the sweet-spicy scented tendrils of steam tickling my nose, when I noticed him. An elderly man in jaunty cap and toting a straw market bag, paused in his journey and observed me. I quickly took note of his features: piercing gaze, jaunty cap, clipped moustache, bag filled with produce, lips lifted slightly in humor or disdain (I could not tell, at first). We locked gazes and I realized, at once, we were kindred spirits. Monsieur Jaunty Cap was a fellow participant in the pastime of people watching. Suddenly, I wondered what he thought about me. "Who is this brash young American woman to be staring at people in such a familiar manner? And why is she sitting outside when there are perfectly warm seats to be had inside? Strange, these Americans." My lips pulled back in a self-concious smile, but his gargoyle-like expression remained chiseled into his face. His piercing gaze did not falter. I lifted my chin slightly and raised an eyebrow, mimicing an expression I had witnessed on the faces of countless cool, collected Parisians. He smiled then. A mischievous little grin that caused his eyes to twinkle and sketched his character with finer strokes than I ever could have imagined. He touched the brim of his hat with two fingers, hoisted his bag onto his shoulder, and he was gone. Leaving me to my March musings. And so, as the rest of the world is piroutteing through puddles and preparing for summer, I will be putting on my parka and pondering Paris. My dear friend Leah! Oh to spend some time in Paris with you. I spent some time there when my daughter was little and we lived in Germany. I loved it and would like to go back if there were money for it. This was a hilarious article, yet it also gave me a glimpse deeper into the character and thoughts of Leah Marie Brown. You are a talented author. Wishing you much success. Thank you for visiting my blog, reading my article, and leaving your kind words. It's always great to connect with kindred spirits. Paris is my favorite city in the world and this article captures the essence of the place perfectly. My first visit to your restyled Blog, Leah. It looks just lovely decked out in raspberry. Much, much success as you continue your journey into your childhood dream of being a published author-ess. Good luck with your blog giveaway and following goal, too. Paris Maddy~ Thank you for the kind words. I am glad you like my new blog and find it improved! Hope you will keep visiting.